DURHAM, N.C. -- Duke University removed a statue of Gen. Robert E. Lee early Saturday, days after it was vandalized amid a national debate about monuments to the Confederacy. What should America do about Confederate monuments? University president Vincent Price said in a letter to the campus community that he consulted with faculty, staff, students and alumni about the decision to remove the statue. 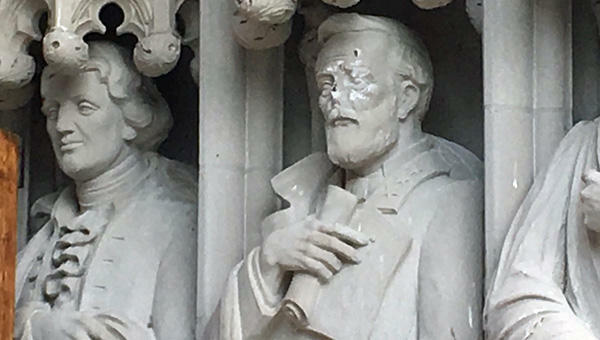 Officials discovered early Thursday that the statue's face had been damaged by vandalism, CBS affiliate WNCN-TV reports.